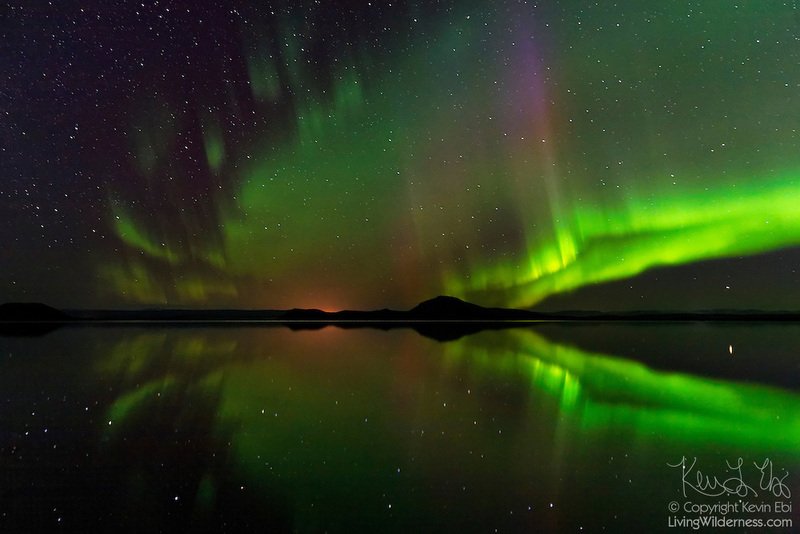 The northern lights, or aurora borealis, shine over and are reflect in Lake Mývatn in northern Iceland. The lake, formed during a lava eruption 2,300 years ago, contains numerous lava pillars and rootless vents, called pseudocraters. Mývatn is Icelandic for "midge lake," and denotes the tremendous number of midge flies found in the area. The aurora borealis, frequently visible during the winter months in Iceland, is caused by charged particles from the sun crashing into the Earth's atmosphere.